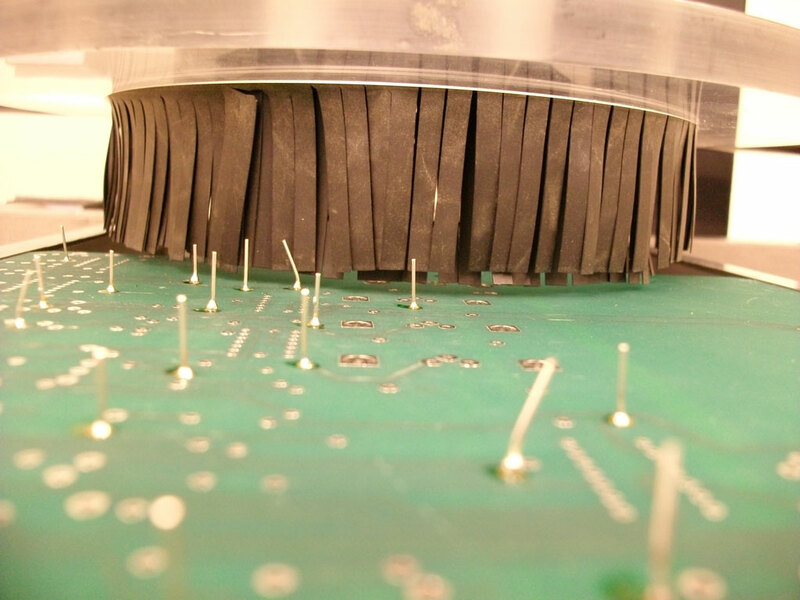 The Vector Lead Trimming System has a high trim accuracy, allows for a large PCB trim area, and is simply the most operator friendly setup of any mass lead trimmer available. It is the combination of precision and value without compromise. The Vector trimming system has been designed with some of the finest engineering and craftsmanship available on the market today. 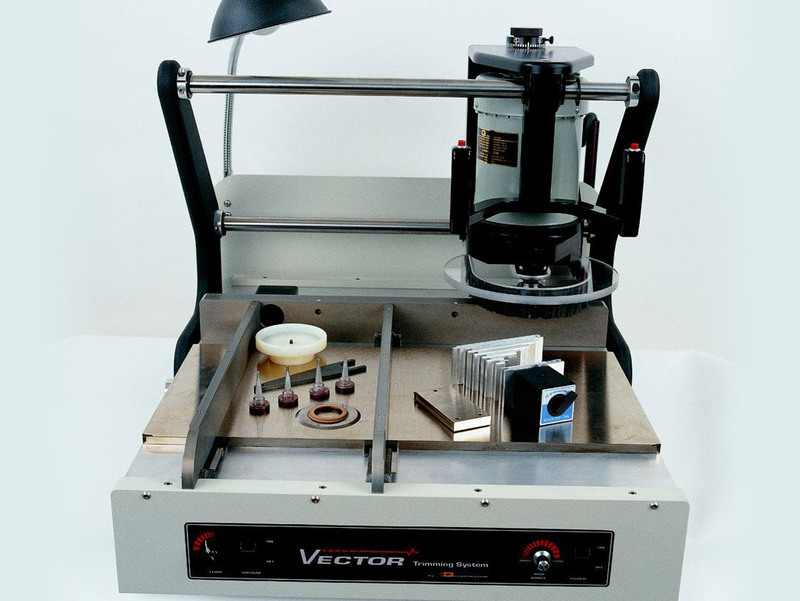 The Vector was built in our factory with the highest regard to quality. Each part utilized in construction of this machine has been carefully inspected to ensure proper fit, alignment and performance. Every function of this machine’s operation has been certified by our technical staff to assure trouble free operation and compliance to all specifications quoted by Q Corporation. 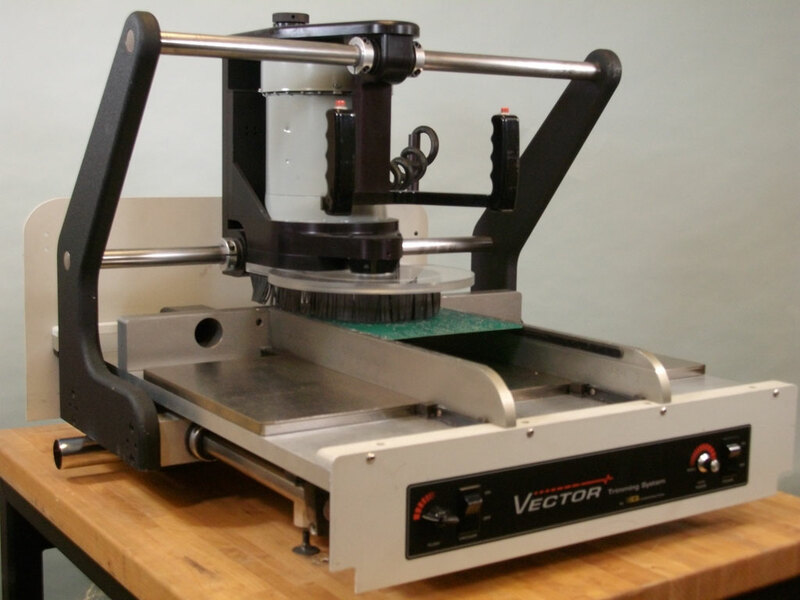 Setup of PCBs is now easier than ever before with the Vector. 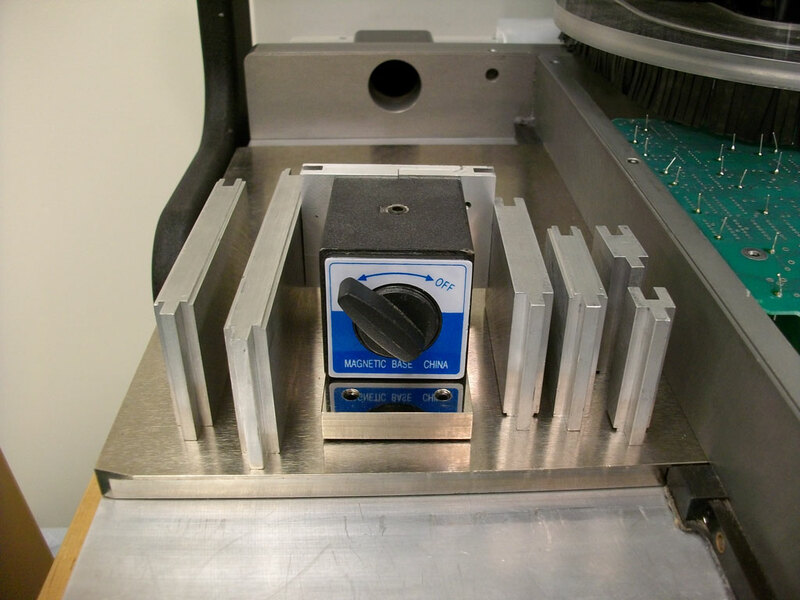 Universal tooling, perfected from years on the production line, creates an accurate platform. Universal Mechanical Fixturing, assures precision lead trimming with corner to corner tolerances of .002″. 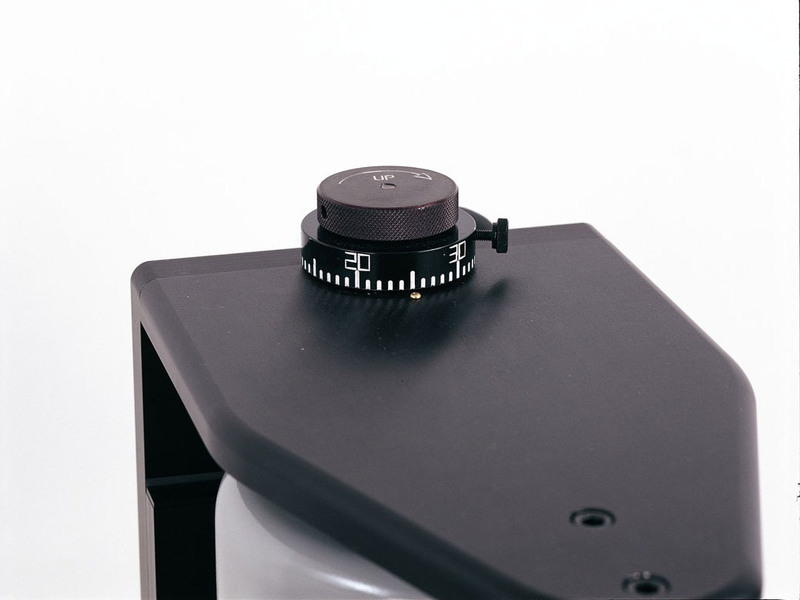 Variable RPM maintains high quality trims through a wide range of component materials and diameters. The powerful Vector drive motor produces full power throughout the speed range. 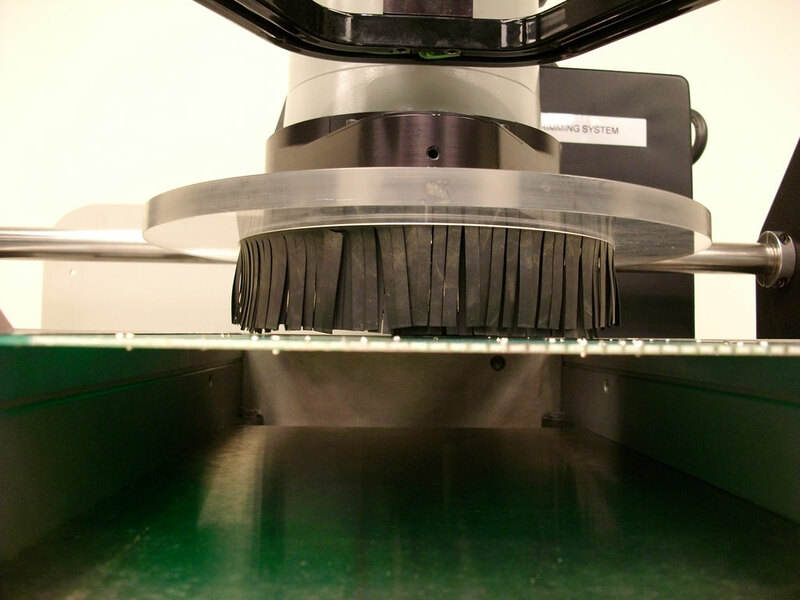 Q Corporation’s unprecedented Super Ring cutting tool provides the longest cutter edge life for today’s trimming challenges. The trim height adjusts in .001 increments for precise setting. The conveniently located vacuum controls assist the operator in fast changes-over after the completion of the trimming process. 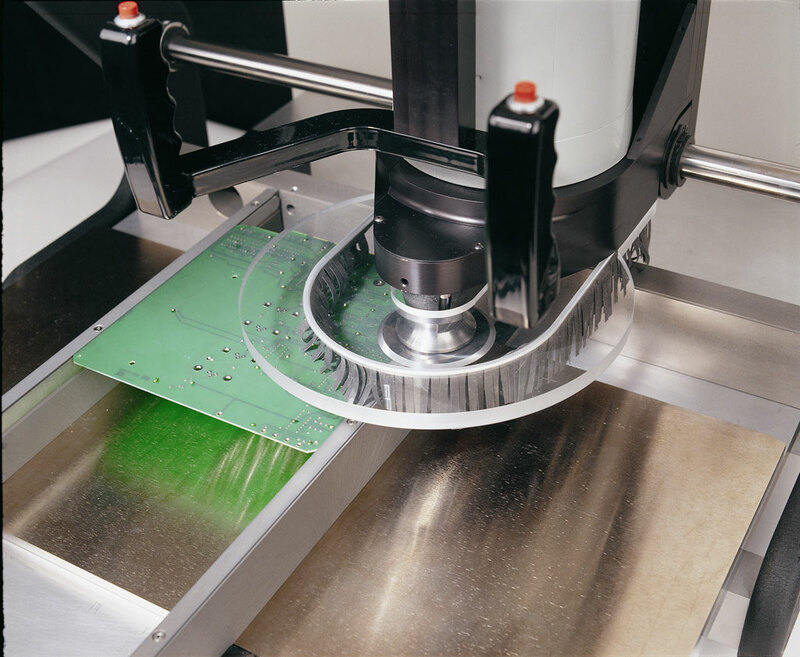 Production Vacuum Fixturing, (Optional) is fast and accurate, accommodating any size or shape of board within an area of 13.5″ (34.3 X 36.2 cm). Multiple smaller boards can be configured within the same dimensions for greater efficiency. Committed to the boards for which they are tooled, they can be interchanged very quickly.